Verve Poetry Festival is doing something it has never done before: a lecture. 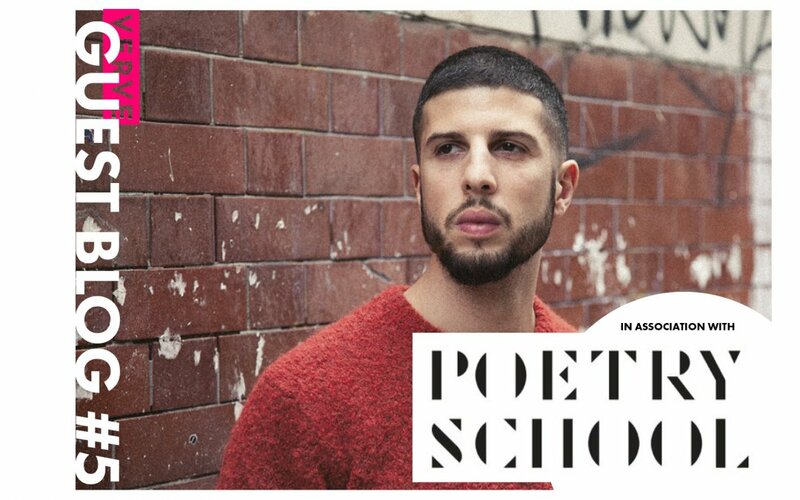 More specifically: a performance lecture, produced in association with The Poetry School (where I currently work). So what exactly is the inaugural Verve Performance Lecture, and why is it happening? The concept is a sportive homage to The Poetry Society Annual Lecture, but very much with a Verve twist. The lecture will be a lecture, but also not-a-lecture, melding the loose, associative, affective qualities of an artistic performance with the scientific method of a full-frontal academic lecture. In practice, what you’re going to see won’t read cleanly as fact, theory or performance. Poets have a lot of great channels to perform and publish these days, but there are still a lot of platforms that many of us don’t normally get to participate in (because, you know, decades of clandestine class warfare and all that), so we hope that this offers a new pathway for some of the great emerging poets of the day to experiment with ways of presenting their ideas and work. It’s hard to promise too much about what to expect, as the format will change each time. The lecture might be about poetry or poetics, but the focus could as easily be about a wider social concern, or something provocatively unpoetical (residential parking perhaps? ); it really will be a complete performance, utilising all sorts of different strategies – such as instrumental performance, slide presentations, improvisation, film, audience participation, general theatrics – so long as the employment of poetry/poetry performance is an important part. For the very first Verve Performance Lecture we’re delighted to have Anthony Anaxagorou, an outstanding poet and performer (although not necessarily a ‘performance poet’, as you will discover). Anthony will be discussing some of the many ways ‘performance poetry’ – an increasingly perjorative term – has been defined, and how much of it has been derisively predicated on physicality, manual labour, and the working-class body. I don’t want to give the game away, but we’re going to veer from football managers to capoeira and back again. We’re very excited about it all. So come along, listen, learn, and find out why it is a good thing that not everything is written for everyone. The First Verve Annual Performance Lecture will take place at 1pm on Saturday 16th February. It will feature Anthony Anaxagorou and tickets are available from our Eventbrite.